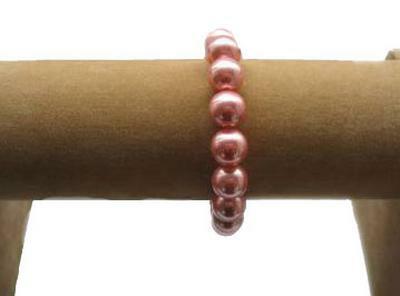 This pearl bracelet is made of 5-6mm rice pearls at an approximately 7″-7.5″ long. 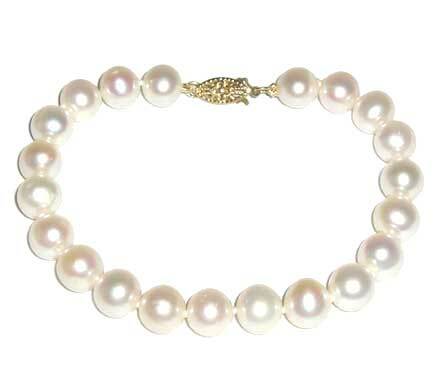 The pearls are high quality. 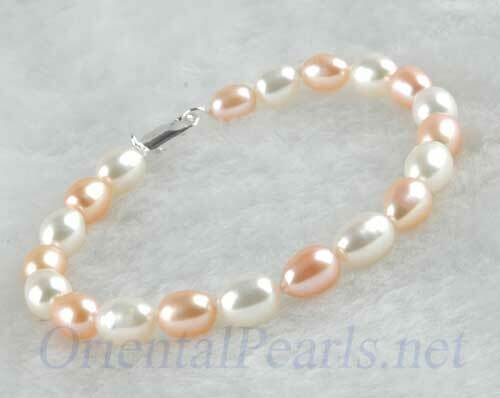 They have very high luster and without any visible surface markings. 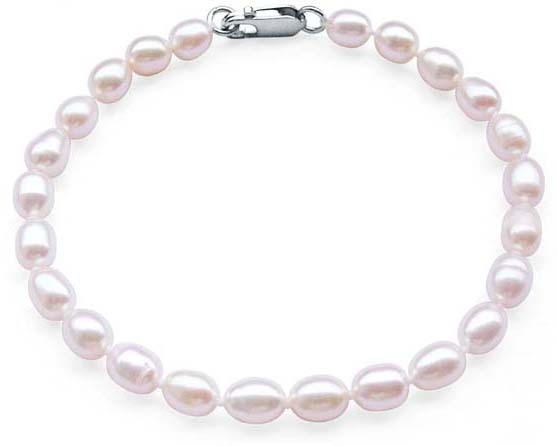 The bracelet is finished by a stamped 925 sterling silver lobster claw. 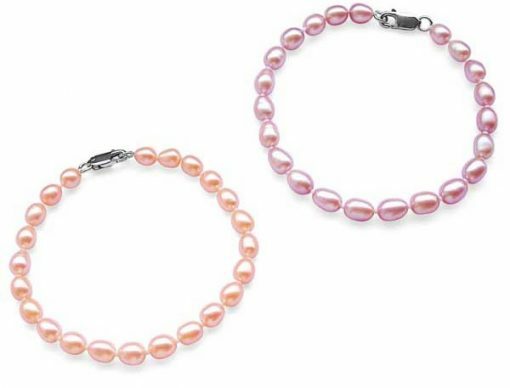 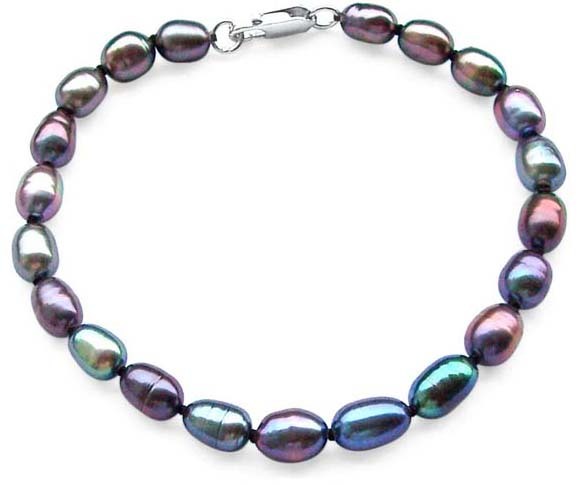 Several colors of pearls are available, including white, pink, lavender, black colored bracelet or multi-colored bracelet made of different colored pearls. 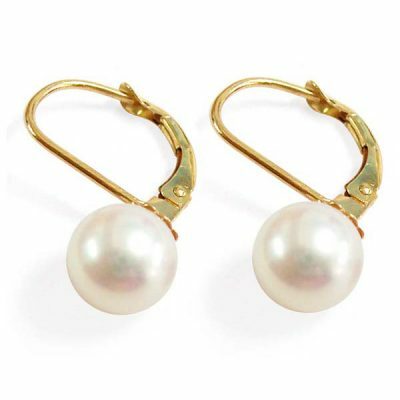 If you can not put the color or the quantity you want into the cart, that means the item has been sold out.